Lump Sum – Champagne Art and the W.I.C. Last week was a cool, networking, kind of week. Had to finish the selection of photographs for the new Strato website on Monday as well as fetch a new car somewhere near Kirstenhof. The guy told me that when the police first found the car, the car was perfectly fine besides a small dent in the fender yet when they came back to tow it to the pound it had been completely and utterly stripped. Ai. Kinda makes you wonder *who* stripped the car exactly. Met with the Grand Daddy guys and the girls from The Imaginarium late Tuesday morning and that was very cool. Looks like we’re going to co-organize an event… Overtone and Instant Grass may also be getting involved. Stay tuned all:-)) Had lunch with the lovely mermaid in Newlands and then went to opening of the Visiting Artists exhibition at Greatmore. It should be called GreatNoMore… seriously… Or Gratemore.. grating away at something, patience maybe. Quoting Desmond Tutu on a canvas. Seriously? Hell, what do I know. Suffice it to say that I think most works were easy, superficial and finished in a sloppy fashion and not very exciting at all. Wednesday saw us going to Museum to have a look at the 2nd year Varsity students which was cool enough. Met with Magdalena (Overtone/ZuMedia) to chat about the Swimming Upstream exhibition and how to push it out there more on Thursday after which we went to the launch of a new events company called Colligo. They had a free whiskey tasting and did a cool shout out about my exhibition. Thanks guys! 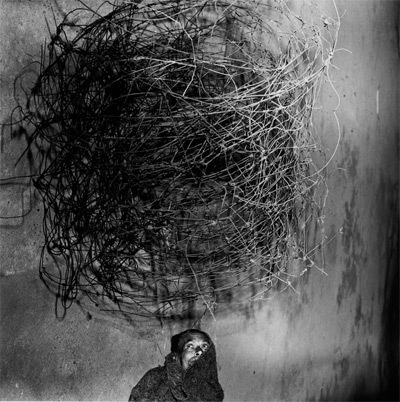 Friday was the best, starting with a visit to the Woodstock Industrial Centre where Word-of-Art had organized an exhibition of and talk by photographer Roger Ballen. I love going there and yes, this time was just as cool as always:-) Exhibition in one room, wooden benches, bar and projector in another. The shop was open as well. Free champagne, fabulous snacks and gorgeous people. 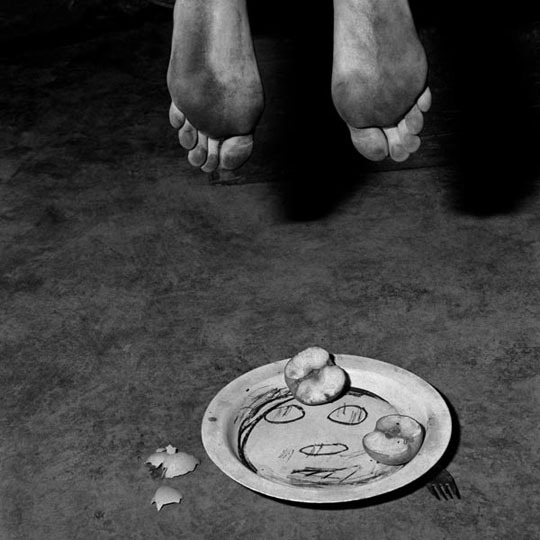 I must admit that I had never heard of Roger Ballen but I am so glad I went. I first had a look at his work from ‘Boarding House’ and then listened to the man talk about his work. It was very inspiring and cool to hear some background stories about the photos and to have him point out the elements that make a certain picture to him. Lump Sum – From Bon Iver’s For Emma, Forever Ago… beauty. This entry was posted in photography, rambling and tagged a word of art, art, babu, cape town, greatmore, music, national gallery, now, ramblings, tired, whiskey, woodstock industrial centre. Bookmark the permalink.